All of these provisions in the Philippine Reproductive Health Bill will come to pass if the Philippines Supreme Court upholds its constitutionality. Oral arguments before the Court started this Tuesday. 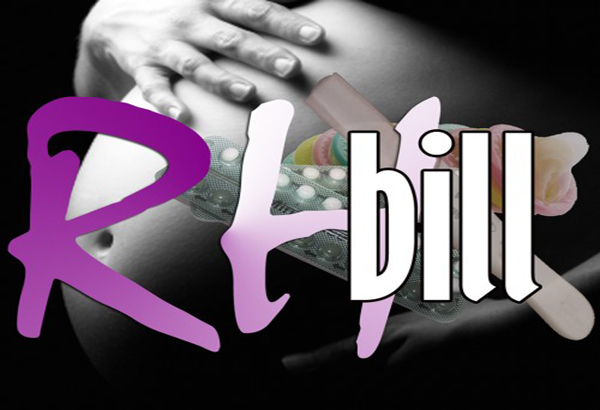 The Reproductive Health bill, commonly known as the RH Bill, passed last year after a long struggle in the Philippine Congress. However, soon after being signed into law, the Supreme Court ordered that its implementation be postponed until after the court could hear arguments regarding its constitutionality. The Philippine Constitution currently includes a provision which “equally protects the life of the mother and the life of the unborn from conception,” and those who brought the petition before the Supreme Court argue that some of the proposed contraceptive methods are under scrutiny for not being contraceptives, but rather being abortifacients. Putting aside all talk of abortifacient-versus-contraception, and church-versus-state, the RH Bill includes provisions which approach coercive population control. SEC 18. CERTIFICATE OF COMPLIANCE.— No marriage license shall be issued by the Local Civil Registrar unless the applicants present a certificate of Compliance issued for free by the local Family Planning Office….Each Local Population Officer of every city and municipality shall furnish free instructions and information on responsible parenting… to all applicants for marriage license. SEC 20. IDEAL FAMILY SIZE.— The State shall assist couples, parents and individuals to achieve their desired family size within the context of responsible parenthood and sustainable development and encourage them to have two children as the ideal family size. SEC 16. MANDATORY AGE-APPROPRIATE REPRODUCTIVE HEALTH AND SEXUALITY EDUCATION.— Age-appropriate education shall be taught by adequately trained teachers in formal and non-formal education system starting from Grade Five… Age-appropriate Reproductive Health and Sexuality Education shall be integrated in all relevant subjects and shall include, but not limited to the following topics: Values formation…population and development.…[and] responsible parenthood. SEC 29. PENALTIES.— Any violation of this Act of commission of the foregoing prohibited acts shall be penalized by imprisonment ranging from one month to six months or a fine of ten thousand to fifty thousand pesos or both such fine and imprisonment at the discretion of the competent court. Provided that if the offender is a public official or employee, he or she shall suffer the accessory penalty of dismissal from the government and forfeiture of retirement benefits. That is, if you were to suggest that the RH Bill was not intended to improve infant nutrition but really to control the Philippine population, you would be liable to prosecution. Although the Philippines is a predominantly Catholic Country, many in the media would have us believe the current legal battle to be another church-versus-state battle, when clearly it is a state-versus-the will of the people, an imposition of legislative power. All popular opinion polls in the Philippines show a majority opposing the current bill. The RH Bill is not an issue for Catholics alone, but is rather the business of all who oppose population control and reproductive coercion.